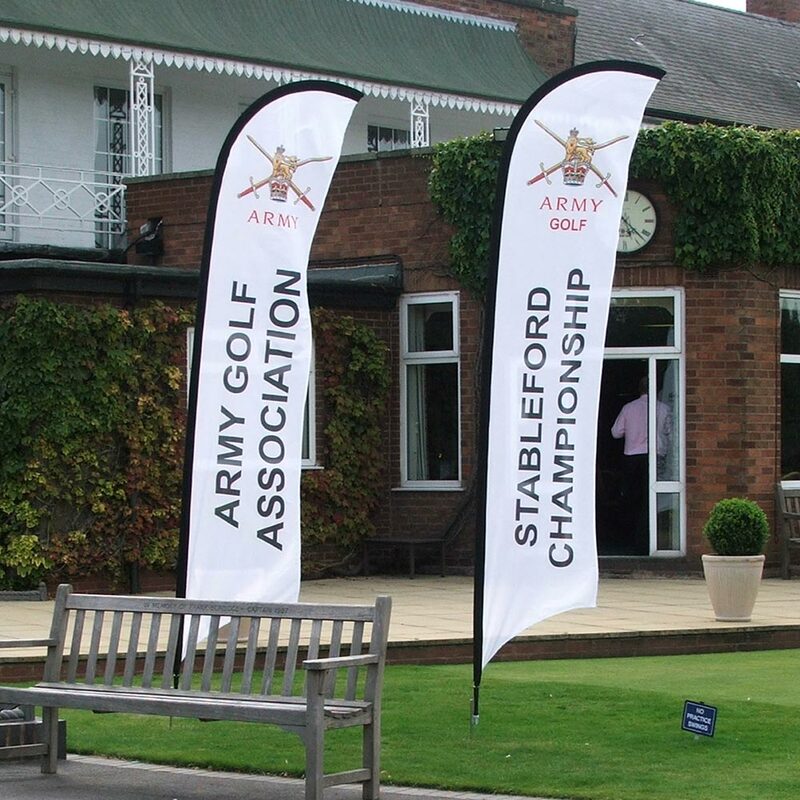 Project Design Print will produce your Bespoke Flags using industry standard knitted polyester. 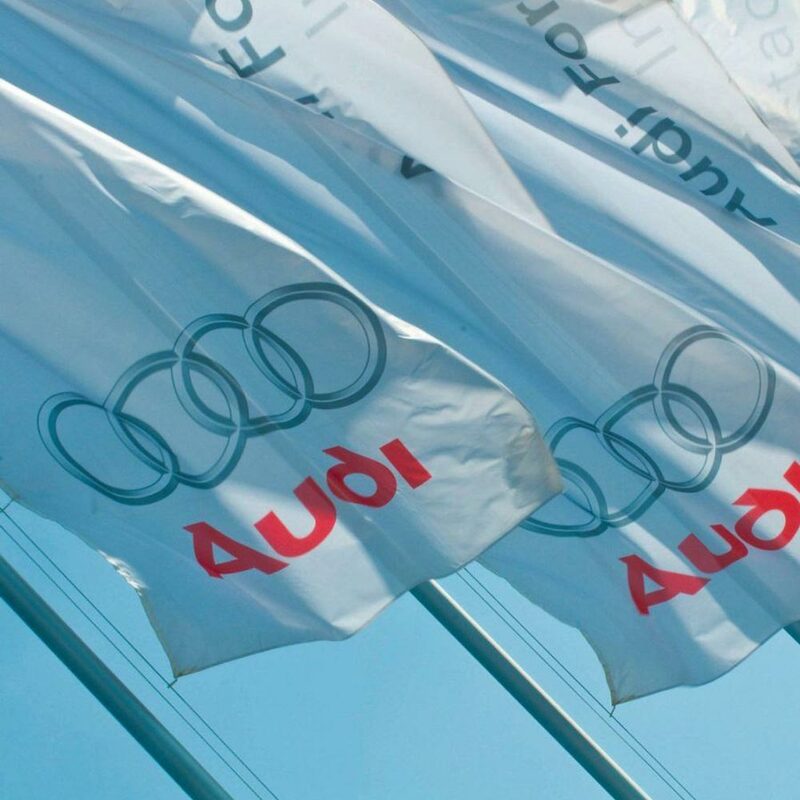 We use a dye sublimation process and high-quality full-colour print to create your flags. 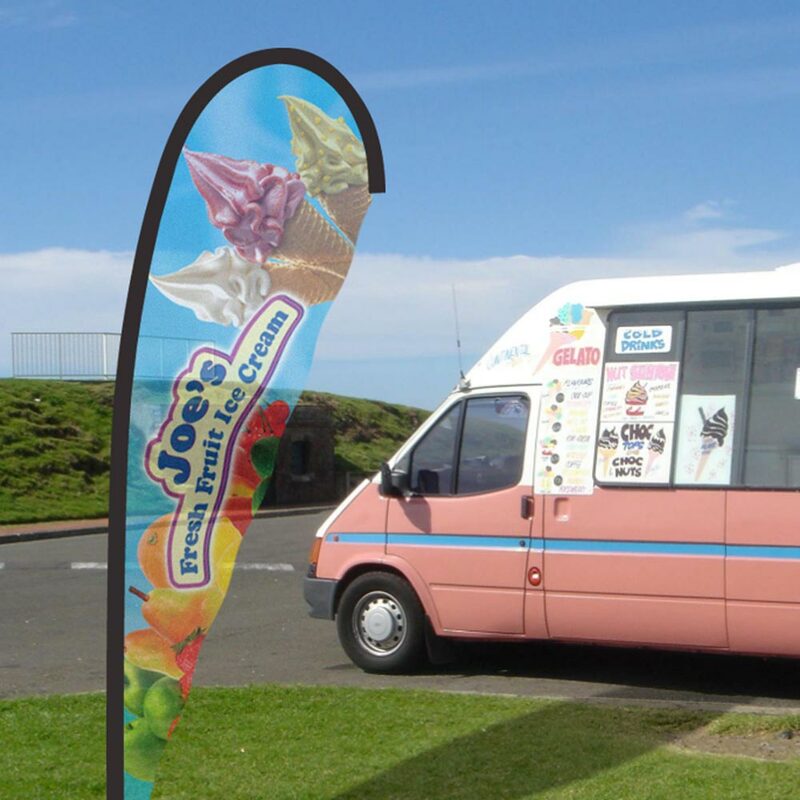 Durable yet lightweight, these Bespoke Flags are ideal showcasing your business brand or logo. We employ special inks that undergo a post-print heating application that "fixes" the inks to the fabric for a completely integrated look. This heat treatment ensures superior scuff resistance and even allows for convenient washing. To complete your Bespoke Flags, Project Design Print will add a welded hem with eyelets placed at equal intervals. 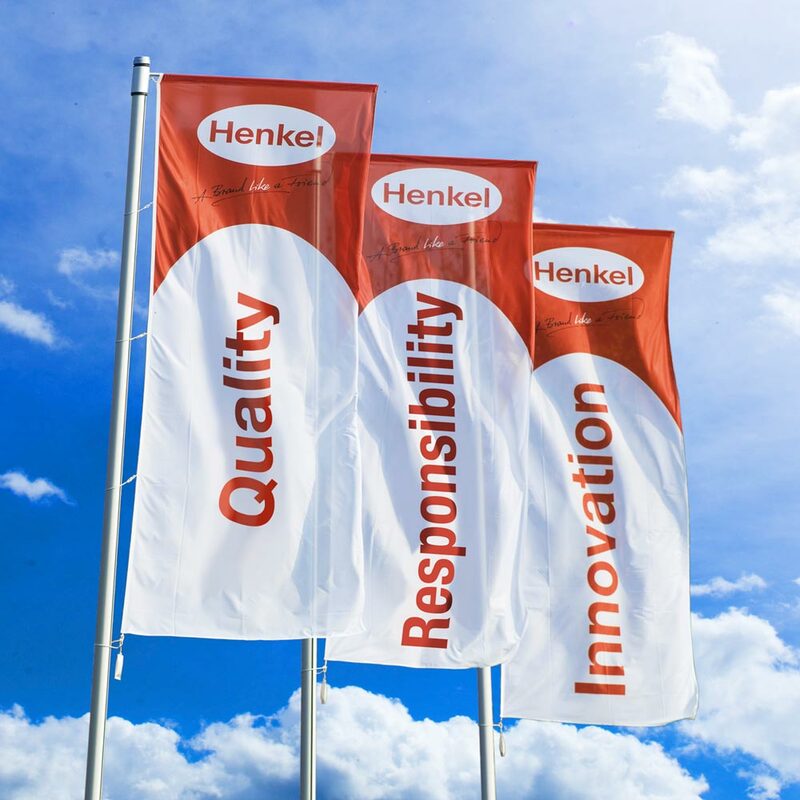 Our knitted polyester flags are designed for both indoor and outdoor use.